Roukous S. Roukous, 83, a resident at Samaritan Summit Village and formerly of 506 Davidson St, Watertown, passed away peacefully January 25, 2019 at the Samaritan Medical Center. Calling hours will be 3 - 6 p.m., Sunday, January 27 at the Hart & Bruce Funeral Home 117 N. Massey St. Watertown. A prayer service will be held 10:15 a.m. Monday, January 28 at the funeral home followed by an 11 a.m. Funeral Mass at Our Lady of the Sacred Heart Church. Burial will be in the spring in Glenwood Cemetery. He was born on February 15, 1935 in Lebanon, son of Sleiman Roukous Al Egel and Hanne Mrad Moufawad. 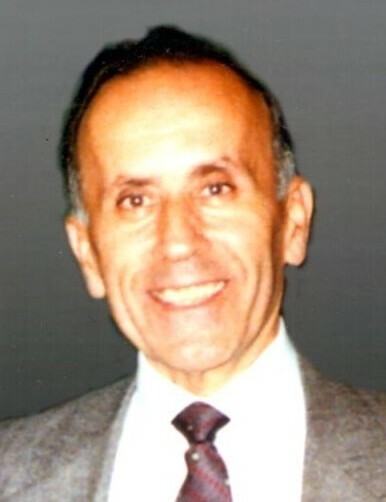 He graduated from high school in Lebanon, moved to the United States in 1955 and attended IHA where he learned to speak English. He married Antoinette Elhage of Carthage on January 28, 1961 at Our Lady of the Sacred Heart Church with Rev. Francoeur MCS officiating. The couple resided in Watertown where he and his wife owned and operated Roukous Grocery Store on the corner of West Main St. and Main Ave. In 1972 they reestablished the business into what is now known as Home Deli. The couple with the help from their sons owned and operated it up until 2007. The business was sold to Anthony Burnash who still runs the Deli today. Mr. Roukous continued to work for Anthony up until February of 2018. Among his survivors are his three sons and their wives, George S. (Leigh M.) Roukous, Watertown, Joseph (Michelle) Roukous, Dexter, Jon-Michael Roukous and his companion Michelle Klaes, Lockport, NY; seven grandchildren, Nathan , Jared, Samantha, Michael, Samuel, Sean and Hannah; three great grandchildren, Roukous, Brooklyn and Kiernyn; one sister, Lucy Moufawad; several nieces and nephews. Besides his parents he is predeceased by a brother Joseph Roukous, a sister, Josephine, and his beloved wife Antoinette who passed November 18, 1998. Mr. Roukous was a communicant of Our Lady of the Sacred Heart Church. He enjoyed cooking, playing cards and dollar bills with the gang at the Home Deli, and had a passion for cars. He loved spending time with his grandchildren and watching their sporting events and school activities. The Roukous family would like to extend their gratitude for the community’s patronage and friendship throughout the years. A special thank you to the staff at the Samaritan Summit Village and as well as the nursing staff at the Samaritan Medical Center for their compassion and care. Donations may be made to American Diabetes Association.